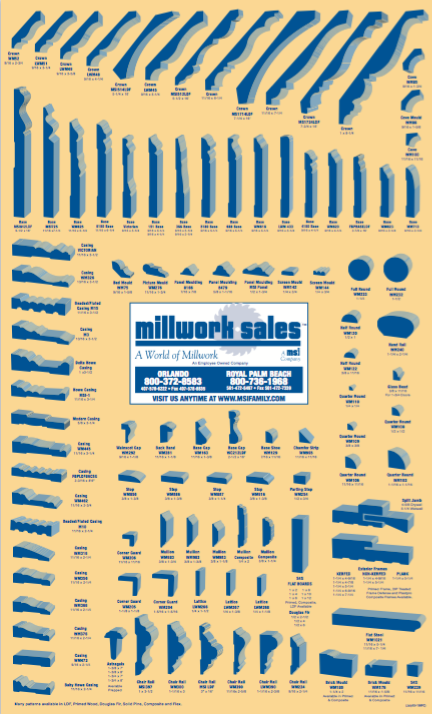 Millwork Sales is stocked to meet every moulding need with over 100 patterns offered in different species and finishes. We are proud to have partnered with the best moulding suppliers across the world for over 18 years. These relationships allow our customers to receive the most consistent, highest quality moulding patterns in the industry.